We’re having a co-op to co-op ride this weekend. Come join us to see what the world of bicycle cooperatives has to offer. It will be hosted by our very own Katelyn Mann. Sign up here. 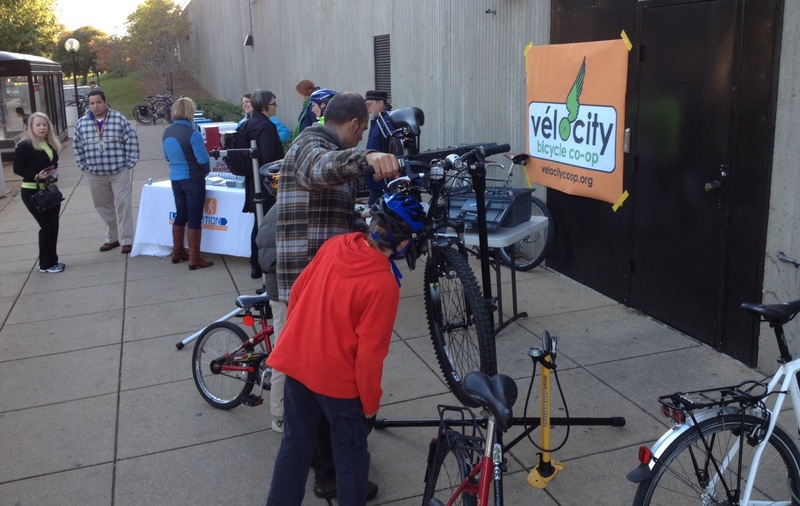 VéloCity’s set-up at the Braddock Road station for Bike Lights 2013. 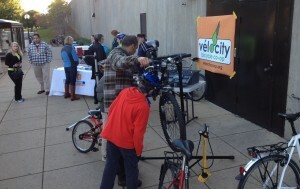 The ride will start at 9am from Vélocity Co-op in Alexandria on Saturday, May 23rd (next weekend). Below are the times we will leave each stop, so you can meet us at a stop along the way if you don’t feel like trekking it out to Alexandria (although we have some great morning coffee/breakfast stops in Del Ray! Swings, St. Elmos, etc).